From 1st – 14th July 2007. Satish Shah, Trek Co-ordinator Reports. 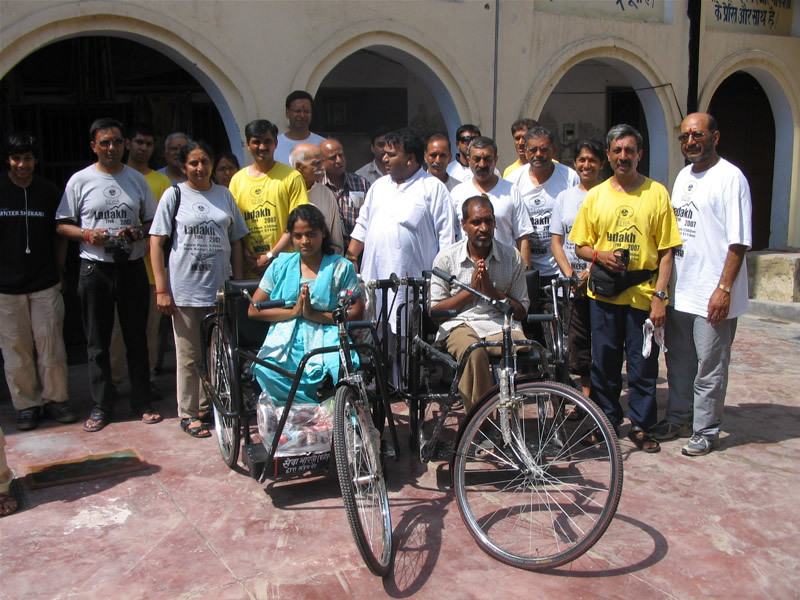 - The group flew to Leh, at an altitude of 3500 meters. 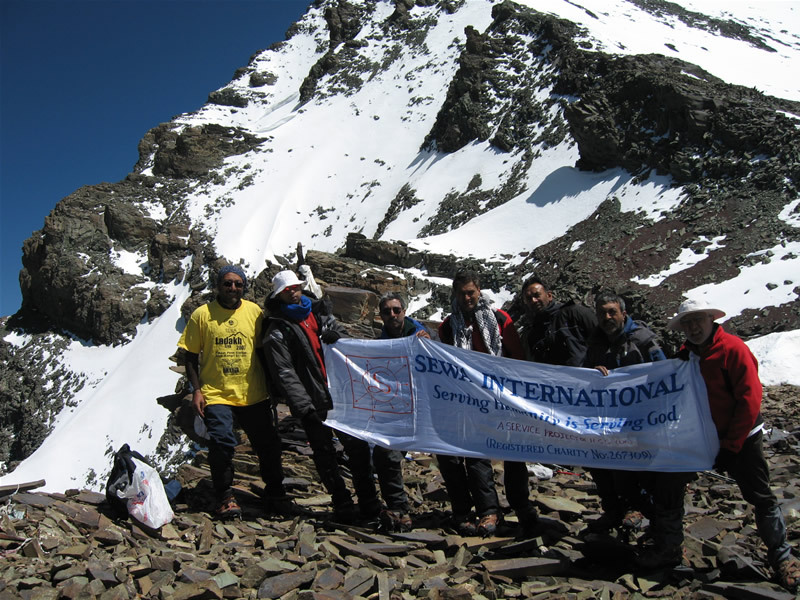 - This trek is graded D, similar to Mt Kilimanjaro, but Stok Kangri is graded E.
- The group has raised £42,541, and the trip itself was self-financed. Our group consisted of 24 people, including 10 females and age range of 17 to 59. 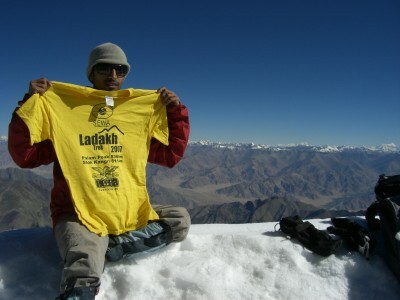 The eight day high altitude trek started with a drive from Leh to Choksi. Day 1 was an easy 4 hour walk. Day 2 was a tough 11 hour long walk to base of Kank La 4700m. On the third day we crossed Kang La pass at 5260m and carried on to Palam Peak 5360m. 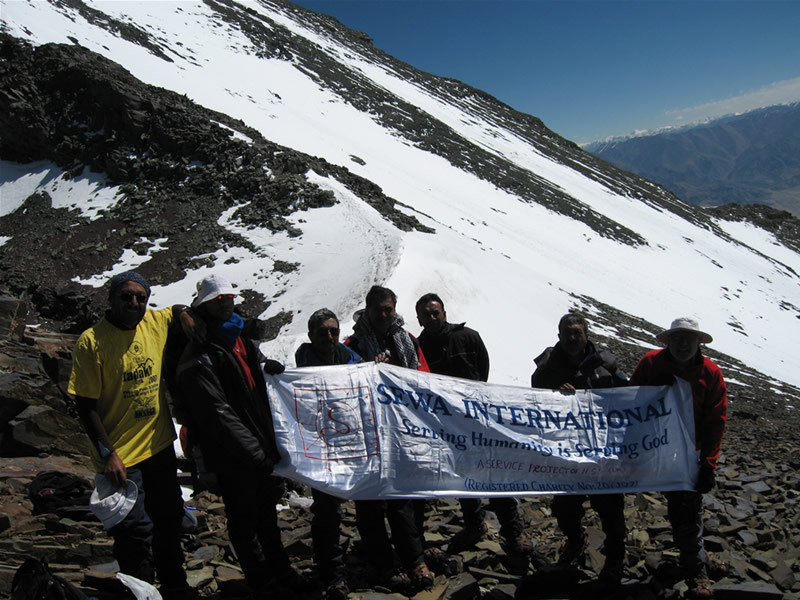 This was an achievement for most people who had had no previous high altitude trek experience. Day four encountered snow and mist as we made our way to the eco friendly village of Rumbak, with no electricity and running water and where all waste is recycled. Day five crossed Stok La pass, 4900m, having seen distinct rock formations. The next day we made it to Stok Kangri base camp, 4800m. On day seven, we left our camp at 1am with torches, in freezing conditions. 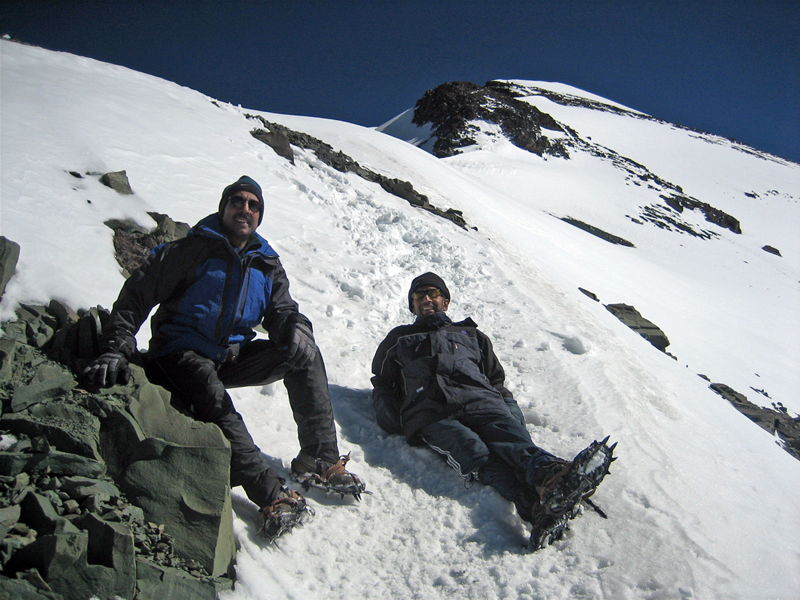 At around 4am we put on ice crampons and started the ascent of Stok Kangri, 6114m. The snow covered steep ascent was very difficult though the views were breath taking. 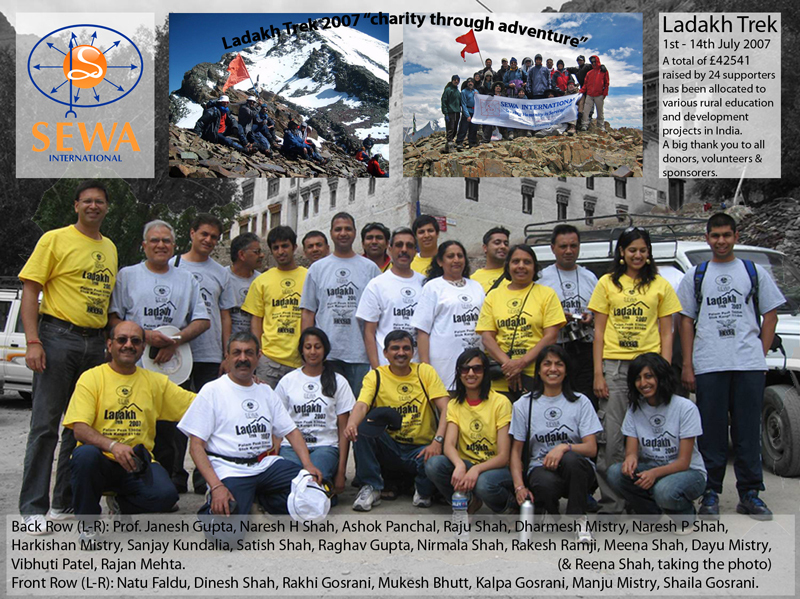 13 successfully completed the 8 day trek which was very demanding but fulfilling. 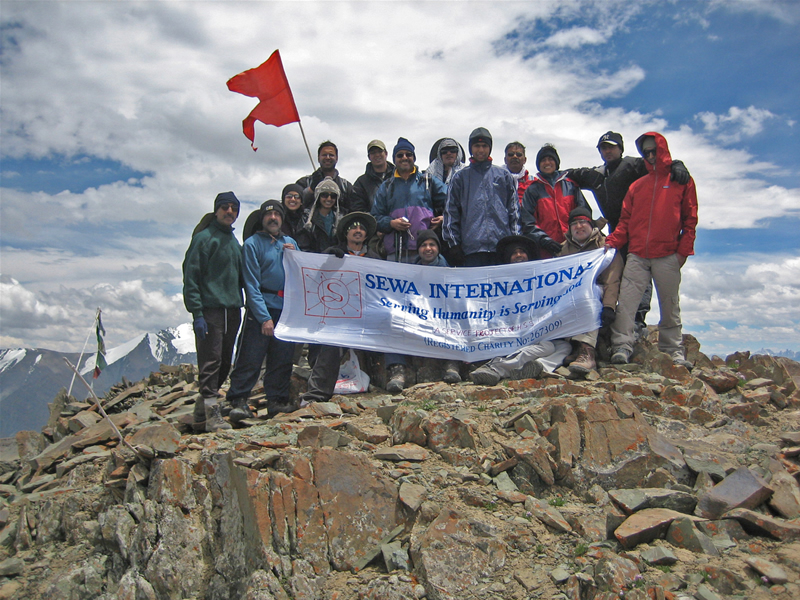 Ladakh has a magic charm however life can be tough for the local residents.The last day in Delhi was spent visiting various sewa projects in the city slums, this was a real eye opener for the group.